After studying at Chethams School of Music, Laurence Jackson gained a scholarship to the Royal Academy of Music in 1984 where he studied with Emanuel Hurwitz, Maurice Hasson and Anne-Sophie Mutter and was a prizewinner at the 1985 Yehudi Menuhin Concours de Paris Competition. In November 1990, Laurence was awarded first prize at the 17th International Violin Competition Dr Luis Sigall held in Vina del Mar, Chile, and subsequently gave concerto and recital performances throughout South America. Since making his Royal Festival Hall debut in 1990, Laurence has forged a successful career both as a soloist and chamber musician, appearing with the BBC Scottish Symphony Orchestra as well as directing the Guildhall Strings, the Adderbury Ensemble, Calgary Festival Orchestra, Birmingham Contemporary Music Group and guest leading the London Festival Orchestra and Britten Sinfonia. From 1994 to 2006, Laurence was leader of the Maggini Quartet, with whom he toured throughout the USA, Canada and Europe to much critical acclaim. Worldwide sales of the quartet’s recordings for Naxos have exceeded 100,000 discs. With the Magginis, he won the 2001 Gramophone Chamber Music Award of the Year and the 2002 Cannes Classical Award. They were nominated for GRAMMY® Awards in both 2004 and 2005. 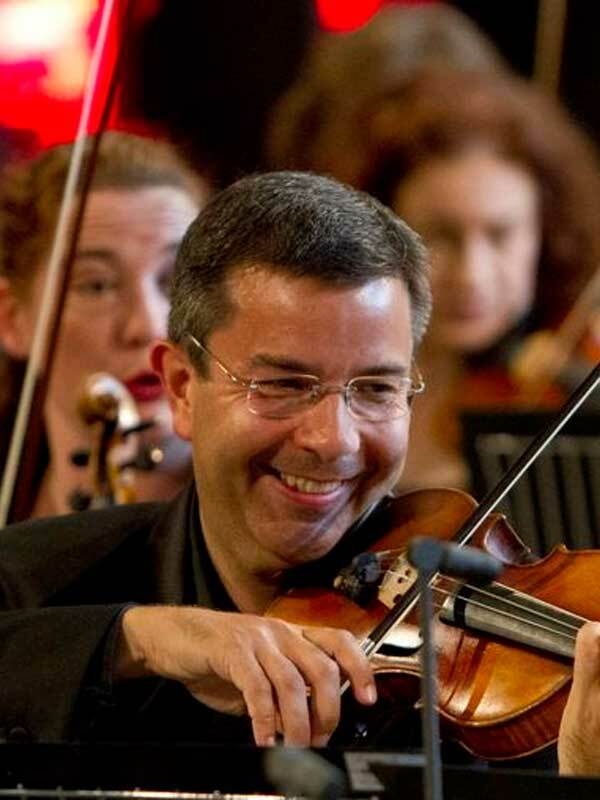 In 2006, Laurence accepted the position of leader with the City of Birmingham Symphony Orchestra. Laurence led the CBSO through many acclaimed concert performances, including the 50th Anniversary performance of Britten’s War Requiem and more than 120 concerts on overseas tours. Laurence also directed the Orchestra and performed many times as a soloist, as well as on the CD recording of Richard Strauss’ Ein Heldenleben with Andris Nelsons for Orfeo. He was appointed as Concertmaster of the West Australian Symphony Orchestra (WASO) in Perth from in January 2016. With pianist Ashley Wass, Laurence has recorded two discs for Naxos of the complete repertoire for violin and piano by Sir Arnold Bax. The first volume was released in September 2006 to wide critical acclaim and Volume 2, including the 2nd and 4th sonatas, was highly recommended in the January 2008 edition of the Gramophone.